When it comes to landing the job of your dreams, there are so many ways to go wrong in your efforts – including deciding on the right career path, says career coach Lisa Quast. Whether you’re just out of college or looking for a better deal with another company, landing an interview takes work. Once you’ve earned that interview, you don’t want to mess it up. 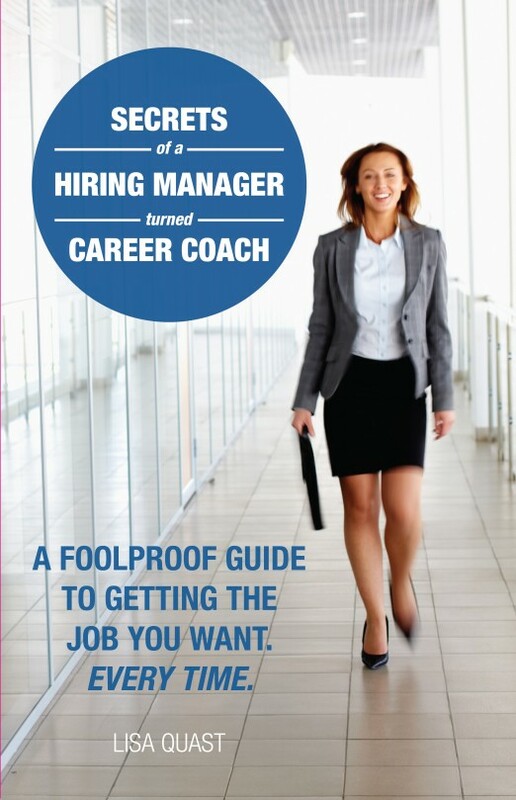 Quast, author of the book “Secrets of a Hiring Manager Turned Career Coach: A Foolproof Guide to Getting the Job You Want Every Time” (www.careerwomaninc.com), briefly reviews eight ways to make the interview a success. Anticipate interview questions and prepare answers. There are five groups of questions you should consider for the interview: your background; familiarity with the field/industry; your functionality and competency for key aspects of the job; your style and personality; and how you see your future. It’s helpful to think about questions the hiring manager might ask and prepare how you could respond. Prepare questions for the employer. Good questions indicate to hiring managers that you know what you’re talking about. Consider questions about the character of the company; the history, nature and future prospect of the open position; and the department. Conduct practice interviews. The more you do something, the easier it gets, and practice runs will not only help your interview performance but also help you consider further the content or substance of the discussion. Conduct mock interviews with someone you trust. And when you get to the interview, remember to be yourself and don’t be afraid to show your personality. Companies hire real people, not robots. Prepare to answer the toughest interview questions. One of the hardest questions to answer is “What’s your biggest weakness?” For interviewers, how you answer this offers insight into your level of self-awareness; how you handle obstacles; and how much you know about the position. Practice watching the hiring manager’s nonverbal cues for important clues. People say plenty while not verbally saying anything. Facial expression, eye contact, posture and gestures tend to work together for an overall impression. What are these cues telling you? The answer could help you overcome challenging moments in the interview. Learn to close the interview with class. You can do just about everything right and miss a key point: Don’t forget to ask the hiring manager about the next step in the interview process! When friends ask whether or not you got the job, how would you know what to say if an interviewer doesn’t tell you what’s next and you never ask? Ensure all documents are ready for the interview. Preparedness says so much in an interview. It’s better to have documents and not need them than vice versa. Have multiple copies of your resume and reference list. Recommendation letters may not be required, Quast says, but they’re good “leave behind” documents. Other items that will either be necessary or useful include the job description, portfolio of your work, paper and pen. Dress for positive impact. The dot-com era ushered in a more casual approach, but the recession brought back a more “dress for success” style. Dress appropriately for the position and also the geography. For example, a jet-black pantsuit in Florida during August will make you uncomfortable and make you look out of place. Match your attire with the image of the company. Lisa Quast is a career coach, a business consultant and author of the book “Secrets of a Hiring Manager Turned Career Coach: A Foolproof Guide to Getting the Job You Want Every Time” (www.careerwomaninc.com). Quast spent more than 20 years climbing the career ladder in corporate America with career success in traditionally male-dominated companies/industries. She has completed projects around the world in the areas of strategic planning, marketing & communications, sales, service, operations, pricing, business development, pre-acquisition analysis and acquisition integration and HR/talent development.